The original Oktoberfest was held in October 1810 in honor of the wedding between Crown Prince Ludwig of Bavaria and Princess Therese of Saxony-Hildburghausen. Munich’s citizens were invited to attend the festivities held on the fields in front of the city, named Theresienwiese (Theresa’s Meadow). In 1811, a show was added to promote Bavarian agriculture. Carnival booths appeared first in 1818, resulting in something similar to the Oktoberfest recognized today. While the festival does end in October, most of the festivities take place during the month of September. The main Oktoberfest events are held in the historic meadow Theresienwiese, colloquially shortened to Wiesn. Getting there takes just a simple train ride from the center of Munich. The festival runs seven days a week; the weekends can get particularly busy, so most natives visit during the work week. Oktoberfest is probably best-known for its celebration of quality beer. 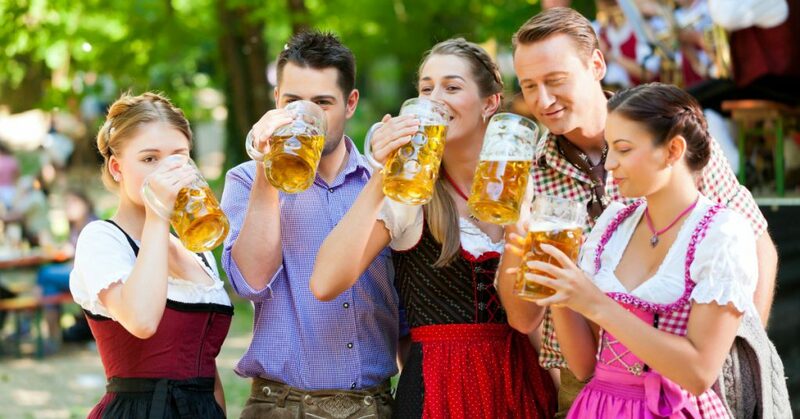 Only six breweries, all within Germany, are permitted to serve their selection at the Munich Oktoberfest. Despite the high standards and veneration of top-notch alcoholic beverages, there are a wide variety of other food and drink options available. At the Weinzelt (wine tent) you can choose from more than 15 different wines and champagne. Several cafes nearby also sell coffee, cocktails and pastries. The weeks-long celebration is also aimed at families. Oktoberfest’s fairgrounds boast attractions such as the Höllenblitz (Lightning from Hell) and Teufelsrad (Devil’s Wheel) rollercoasters alongside the gentler Krinoline merry-go-round. A number of tents celebrate Bavarian culture with music, folk dance and puppet theater. If you don’t have the time or funds to make an international trip, you can still celebrate Oktoberfest in all its splendor. Many cities across the United States have Oktoberfest celebrations of their own. Oktoberfest-Zinzinnati in Cincinnati draws nearly 500,000 people every year. It holds two world records: Largest Chicken Dance and Largest Kazoo band. Unfortunately, the festivities only last for two days of September. The California Bay Area is home to 17 German clubs, all of which come together for the Oktoberfest by the Bay celebration each year from September 30 to October 2. The music performances are often headed by a traditional Bavarian brass band. 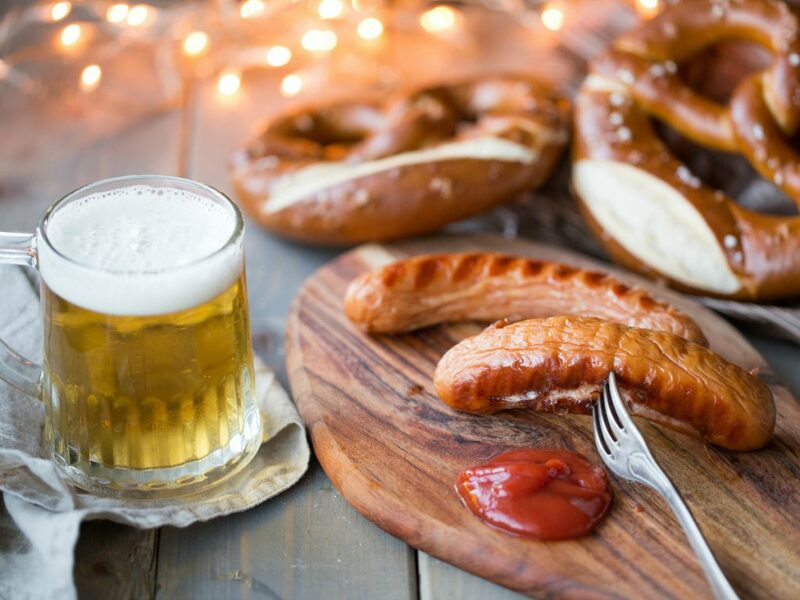 Las Vegas’ Oktoberfest celebration lasts all the way until Halloween. The Vegas Hofbräuhaus starts every holiday season with a celebrity keg-tapping. A number of bars nearby also participate in the festivities. Whether you’re travelling across the country or across an ocean, FreedomPark Airport Valet Service is the most convenient way to start and end your air travel experience at DFW International Airport. Leave your vehicle with one of our professional valets and rest easy knowing it’ll be safe when you return. Contact us today for more information or to learn about our additional services.